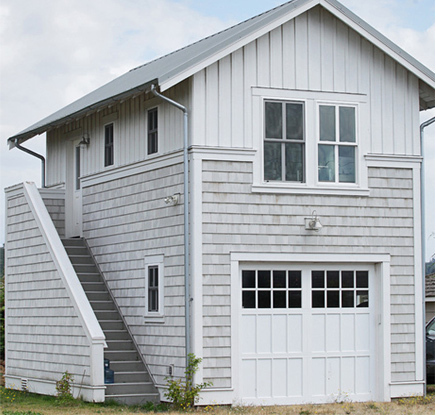 Are you getting ready to build a detached garage in the backyard of your home and wondering if it is worthwhile to add an open area above the garage for an apartment that you might rent afterwards? Here are some reasons to help you make a smart decision. Above all, it is important to check the regulations in your town by contacting the city planning department. What is the maximum height permitted in your neighborhood? Can you rent out the apartment? It's a good way to create extra income, thus persuading your lender that you are able to purchase a slightly larger property to meet your needs. Maybe later, when your children are adults, you will be the ones to live in this apartment and you will let one of your married children use the family home that has become too big for your needs. Often, when young adults begin their careers, they have some debts to pay off, such as student loans. This would be a good way to help them take their first steps toward independence by offering them a loft at a good price. When we have many members in our family, it becomes difficult for you to accommodate everyone in the same place. An apartment over a garage will allow you to welcome your family and friends in a private location without them bothering you, or vice versa. If you are self-employed, this is a good way for you to create a work space a little removed from the commotion of the house, especially when your children are young. Instead of using the basement, which is often used as a family room, an organized work place designed for your needs would be very useful. 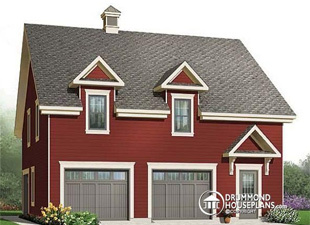 By adding a country-style garage with an apartment, you could attract homebuyers who have the same tastes as you currently do. Use the apartment as an artist’s studio for your spouse, or as a home gym for you or your loved ones to work out in. Let your imagination run wild. All that’s left are for you is to evaluate the added costs before going ahead with your project. 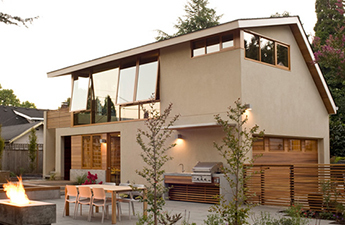 Consult an architectural technician to help you plan your project and estimate costs accurately. 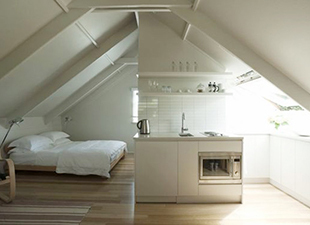 Don’t forget that the basic infrastructures (framing, electricity and plumbing) for building a studio apartment over your detached garage will already be in place, meaning savings to be had if you go ahead with your project. 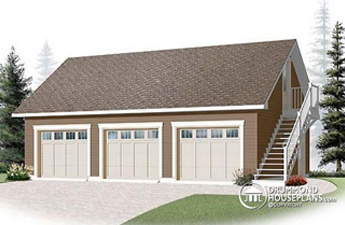 Read our article on building a detached garage for the steps to follow. When the time comes to purchase your garage door, contact one of our garage door specialists, especially if you are the one supervising the construction work. We can explain how to prepare the door frame. We can also send you a free quote.